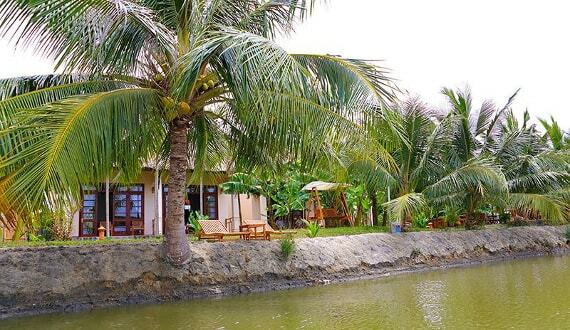 Water Coconut Homestay – Villa is an ideal place for tourists who would like to relax and discover the nature of rivers of Hoi An. In Cam Thanh commune, it is nestled in romantic coconut forest where owns the unique characteristics of peaceful village and charming river. It just takes you about 15 minutes of riding to come the Hoi An old quarter center or Cua Dai beach. 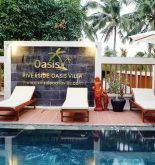 The size of this Water Coconut Homestay – Villa includes five rooms, a restaurant, spa overlooking the cool river with full of modern facilities and equipment especially all of them are equipped harmony in nature. In addition, it also has the plentiful services like tours exploring the nature of rivers by small boat, taking part in activities with 3 generations family, the activities of local fishermen and farmers. All of these wonderful things have already been to service and care for all of members in your family as well as possible. Let you come Water Coconut Homestay – Villa in order to experience and discover as soon as. Address: Hamlet No. 3, Cam Thanh commune, Hoi An, Quang Nam, Vietnam. 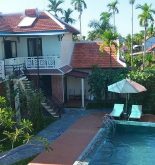 This information has been supplied by Water Coconut Homestay Villa.